D: Reply after being rudely told they ???? Characters A and B are on their way to a restaurant. A is very excited to show B this place, which B has never been to. They pull up and A expects B to be as excited as they are, but B is wary/unsure about the quality of the restaurant. B is skeptical as they take their seats. A is hurt and reacts accordingly. The waiter arrives with menus (if applicable to restaurant). A and B peruse the menu, A pointing out favorites and B being unsure they’ll find anything they like. They order, then A and B exchange awkward chit chat. The tension escalates, and A confronts B about why they’re being such a putz. B gets aggressive with A about how uncomfortable they are here. Character C swings in and join them, interrupting the argument. The tension between A and B smolders beneath the surface as C complains about their day. The three of them are planning to attend and event in the upcoming week. They discuss their plans. The waiter asks if C wants anything, they respond that they’re not staying, but proceed to stay. B tries to hint to C that they would like them to leave, because B is interested in what A was about to say when C walked in. A, who is beginning to chicken out of what they were about to say, subtly tries to get C to stay. Aand B’s food arrives and C finally takes this as a hint to leave. They leave. A and B eat in awkward silence. B concedes first, giving a reluctant compliment about the quality of their meal. The tension break, and A explains why this restaurant is important to them. 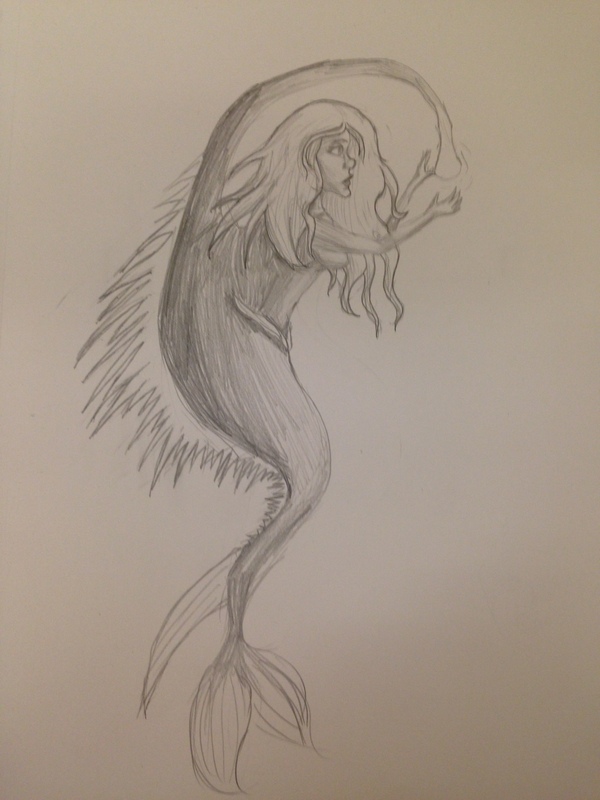 So I did some drawings of the mermaids we made in the world building exercise (pardon the quality, taken via Iphone in the library). 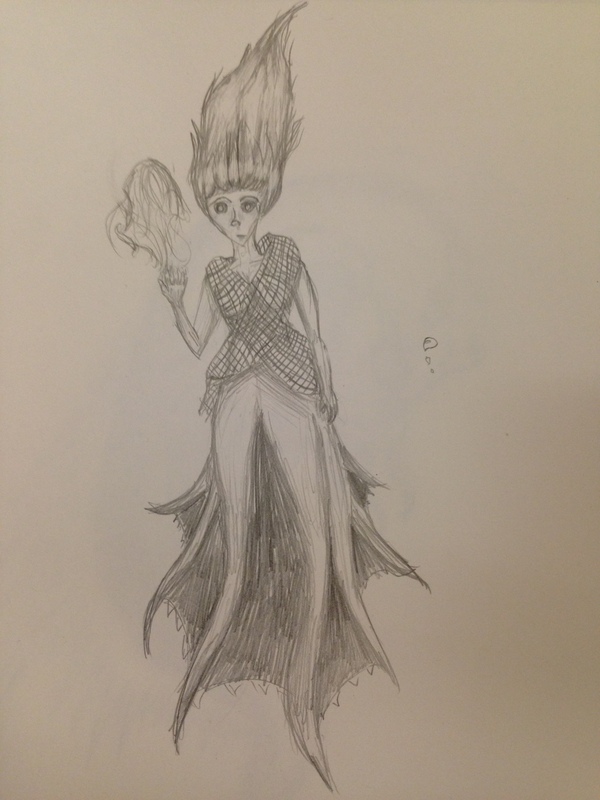 There’s the Vampire Squid Mermaid and the Angler Mermaid.